Samsung will apparently launch new color options for the Galaxy S III mini, Galaxy Note II and a La Fleur edition of its Galaxy S III phone. According to SamMobile, the new colors – Titan Gray, Garnet Red and Onyx Black for Galaxy S III mini are expected in late December or in early 2013 whereas Galaxy Note II color additions of Amber Brown, Topaz Blue and Ruby Wine will come in next year. 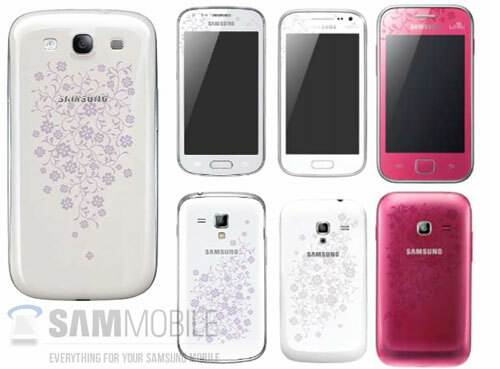 Furthermore, Galaxy S III will also gain a La Fleur edition with artistic design on the front and back to please the ladies. The La Fleur edition phone is expected around the time of Valentine’s Day.